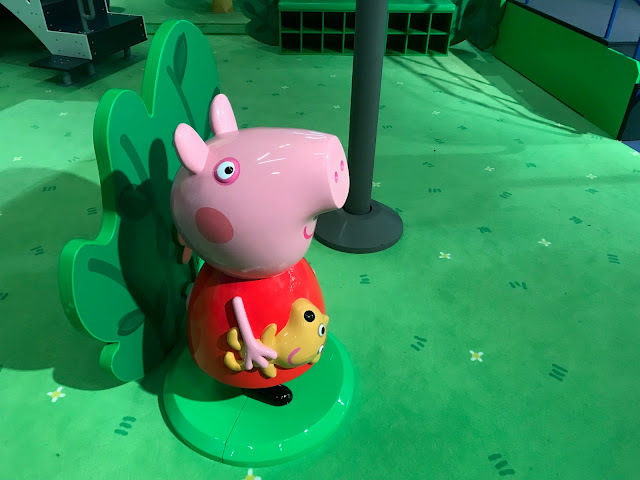 The New Peppa Pig World of Play is Open in Grapevine Mills! 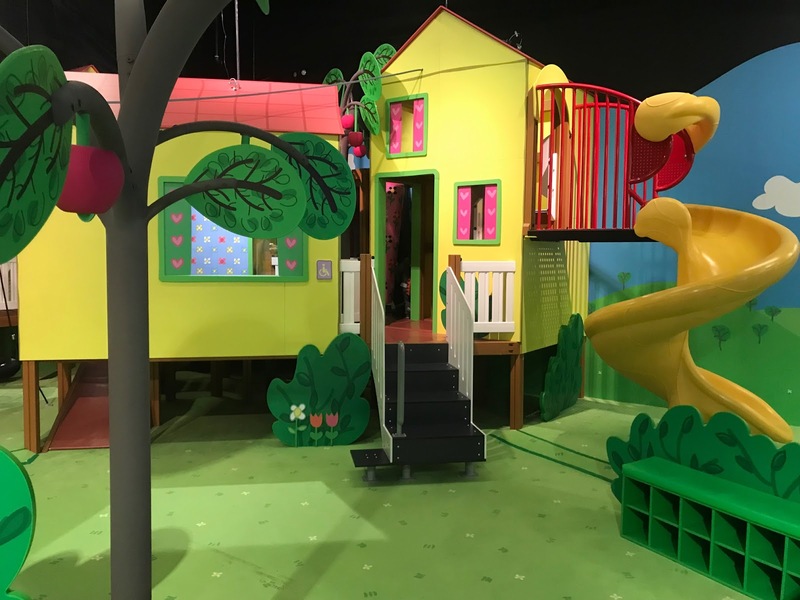 As the mom of an energetic preschooler, I am excited to tell you about the new Peppa Pig World of Play in Grapevine Mills because this whimsical play center rocked my preschooler's little world. 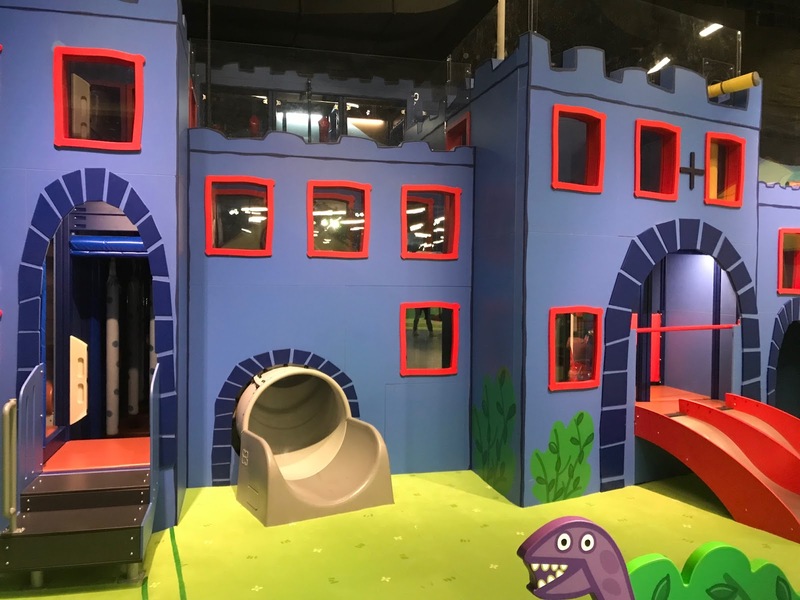 The designers of this play center must be perfectionists because they seemed to pay attention to every detail - large and large - to help create happy childhood memories for little ones who visit. In today's post, I'll try to strike a good balance of telling you about the Peppa Pig World of Play so that you have an idea of what to expect, but without spoiling too many surprises. The new Peppa Pig World of Play in Grapevine Mills is located inside Grapevine Mills Mall at 3000 Grapevine Mills Parkway, Grapevine, TX 76051. It's in the hallway near Burlington Coat Factory. You'll want to walk in the direction toward Rain Forest Cafe. 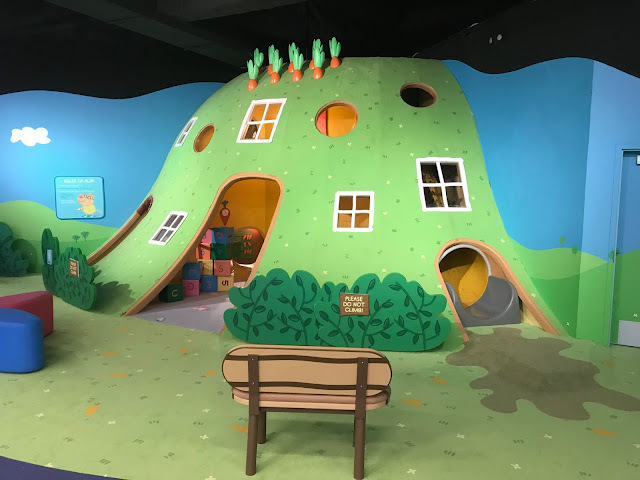 Also included at the attraction are fairground themed party rooms for birthday celebrations, a theatre to enjoy episode screenings, a dedicated Peppa Pig gift store, story times and arts and craft sessions alongside facilities for families to eat, relax and play. Let me share a few photos from our visit. Again, I'm sharing some quick highlights so that you have a general idea of what to expect, but without spoiling too many surprises! There are plenty of vehicles to ride! 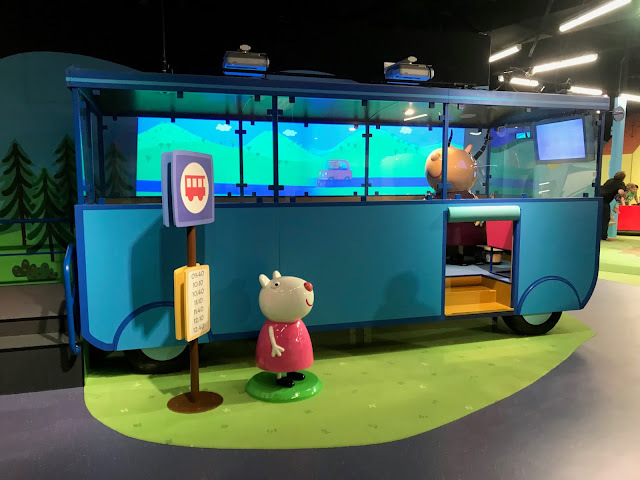 My toddler loved this bus. It was fun to board the bus, take a seat, and watch the screen. 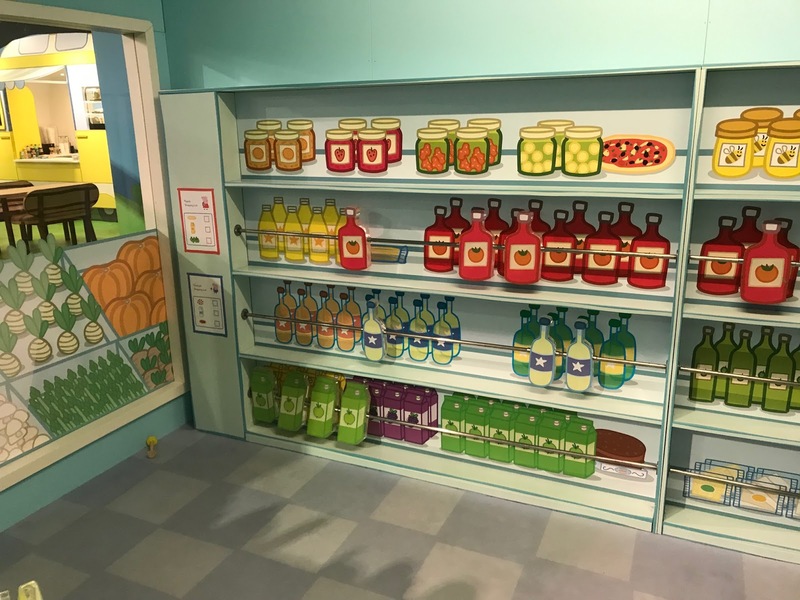 He also loved the pretend grocery store! He was able to play with a cash register and conveyor belt. 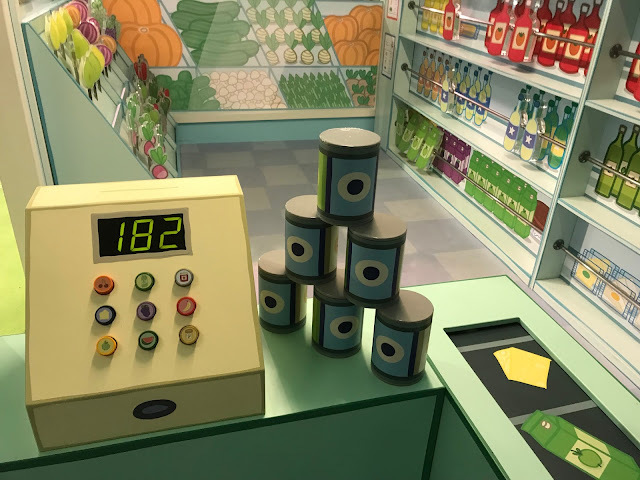 There is a lever for the children to move the conveyor belt. 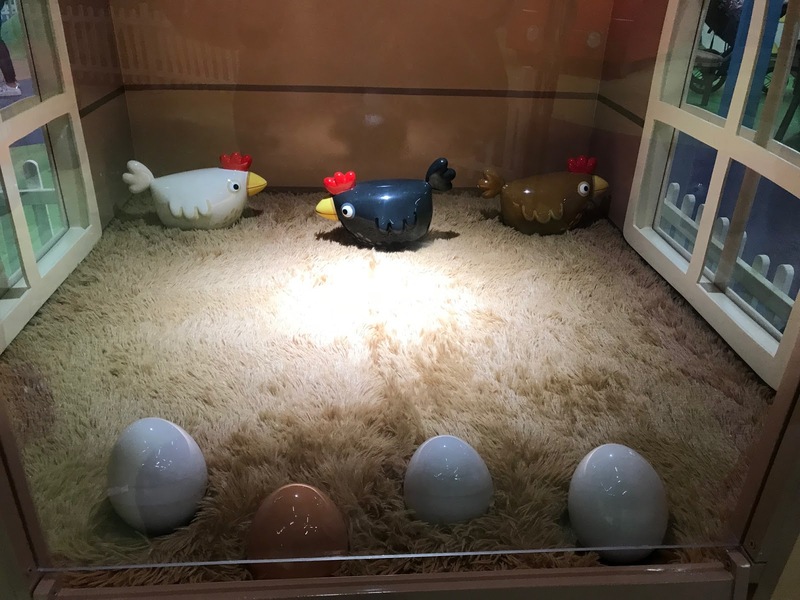 The next photo shows a fun game where the children move the eggs and then the chickens move. This is a fun one! 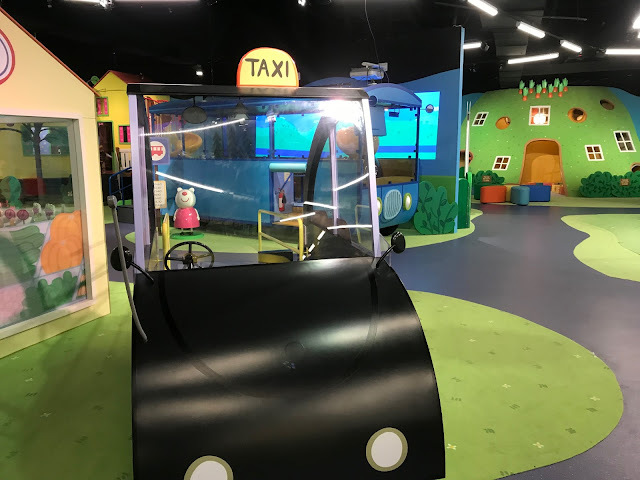 As I mentioned earlier, there are plenty of opportunities to ride buses or cars, but in a way that is meant for toddlers. Here is a taxi. 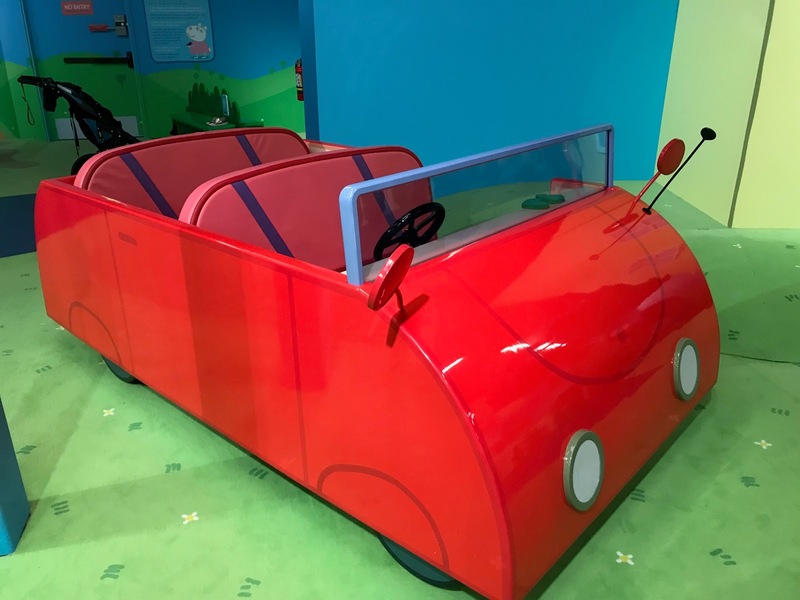 Here is a red car. There are also plenty of opportunities, to climb, slide, and explore! This is another fun area. My toddler went down this slide a dozen times! 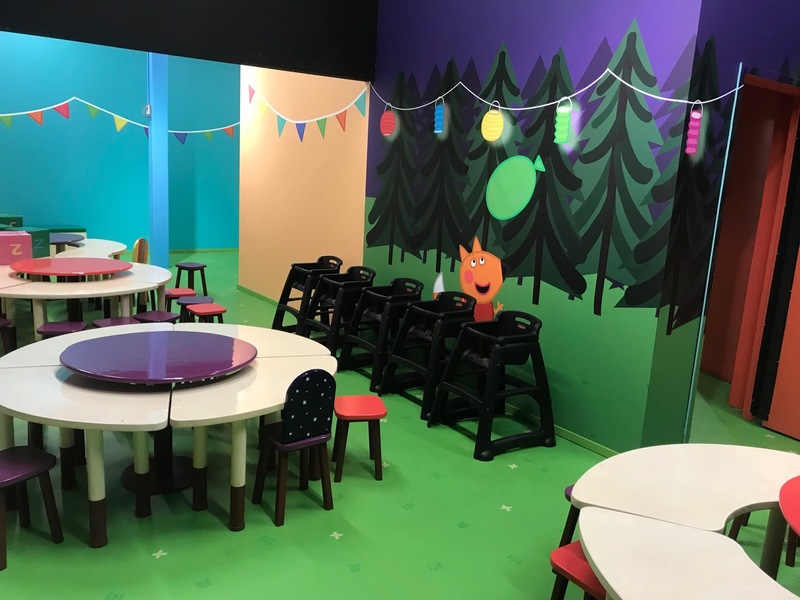 In addition to the play areas, there is also space for birthday parties. Here is is a photo of a birthday party room. It has a fun whimsical look that is perfect for a memorable birthday party! Here is another view. 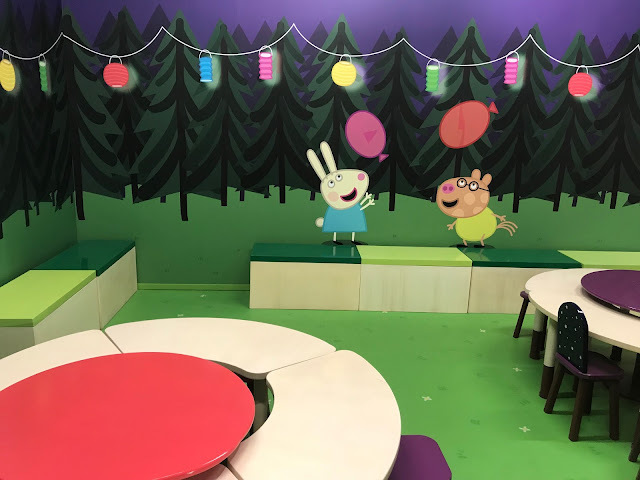 I thought that I would highlight that this preschooler-friendly venue has plenty of highchairs! 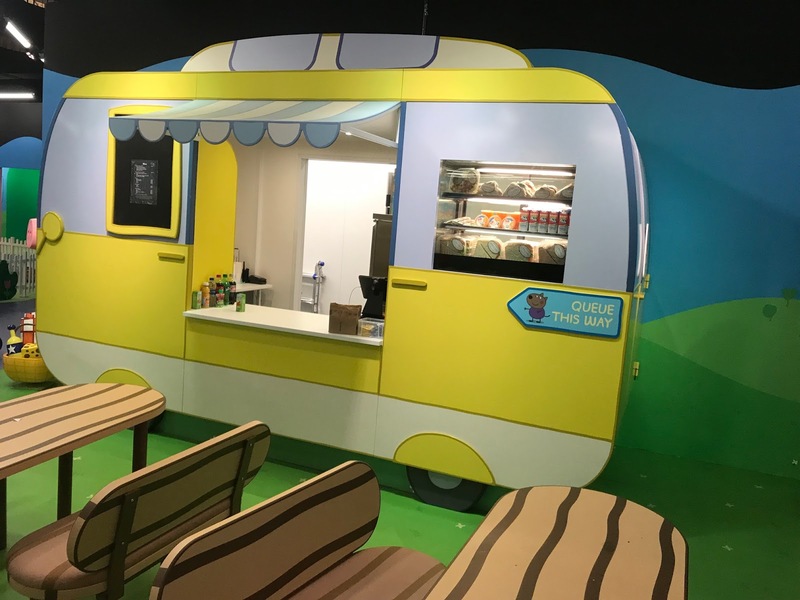 Finally, once your little one is tired out, you'll want to visit the mock food truck to refuel. You may purchase lunch or snacks and then sit at picnic tables. 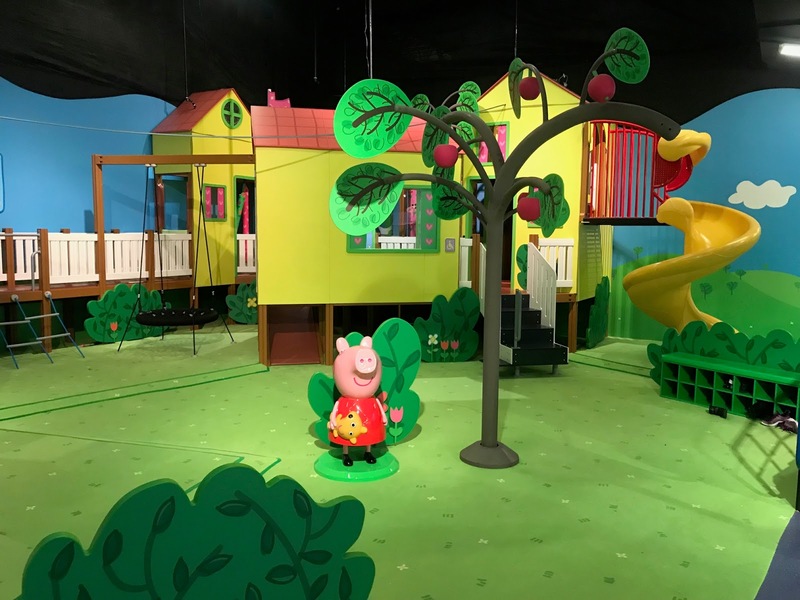 There are plenty of surprises at the new Peppa Pig World of Play in Grapevine. I hope that I shared the right balance of intriguing photos, but also left enough surprises for you to enjoy on your visit. 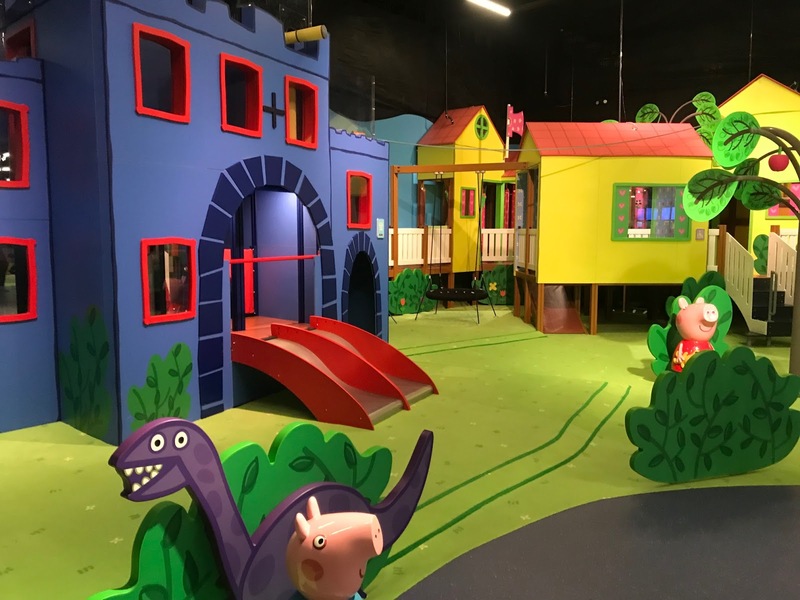 The new Peppa Pig World of Play in Grapevine just opened (February 12, 2019), so visit soon to be among the first to experience this whimsical play center that provides many opportunities to create happy childhood memories!